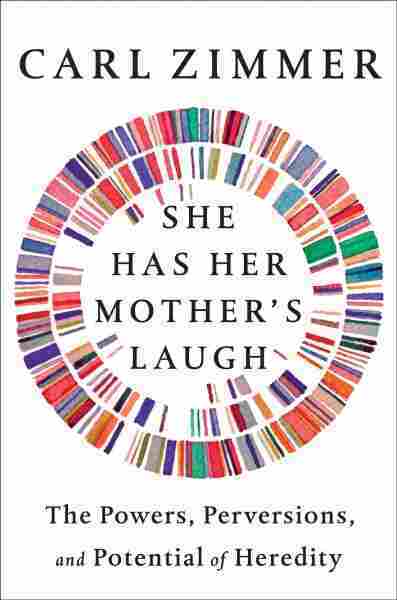 Genetic Tests And Research Get Personal In 'She Has Her Mother's Laugh' : Shots - Health News Carl Zimmer wondered what secrets lurked in his genetic code — so he decided to have his genome sequenced. He writes about the implications of the study of genetics in She Has Her Mother's Laugh. CRISPR and other gene technology is exciting, but shouldn't be seen as a panacea for treating illness linked to genetic mutations, says science columnist and author Carl Zimmer. It's still early days for the clinical applications of research. So Zimmer worked with a genetics counselor to get his entire genome sequenced — an experience he describes as "very nerve-wracking." He worried that he would discover a mutation that would put him on the path for a particular disease. As it turned out, the counselor told Zimmer he has a "boring genome." Though Zimmer initially hoped for a more "exciting and exotic" assessment, the counselor reminded him "A boring genome is a really good genome." Zimmer writes about the broader implications of genetic research and testing in his new book, She Has Her Mother's Laugh: The Powers, Perversions and Potential of Heredity. What happens with CRISPR is that scientists will design a molecule — think of it as a probe — and it will search around in the DNA in a cell until if finds a very specific short sequence. And it will grab onto it, and it brings on with it basically molecular scissors, which will then cut the DNA at that spot — kind of like cutting tape. And you can cut out a segment of DNA. And if you just do that, DNA will heal itself. Basically the two loose ends will stitch themselves together, and now that piece is just missing. Or you can add in a little piece of different DNA, and you can actually get the cell to put in that new piece of DNA where you just cut out the old one. We're just on the verge of human trials. They will be starting, hopefully very soon, for diseases like sickle-cell anemia. There's actually a lot of research on muscular dystrophy as well. There are a few key diseases where scientists think these would be the best places to start. To basically inject CRISPR molecules into people's bodies; these CRISPR molecules would then go to certain kinds of cells and repair one particular spot in their DNA. And that treats the disease. We shouldn't look at this as a panacea. ... There have been earlier kinds of treatments known as gene therapy, where you basically try to add an extra gene into someone's cells. And that [seemed] like it was just a slam dunk, but then it turned out to not work very well for years and years. ... 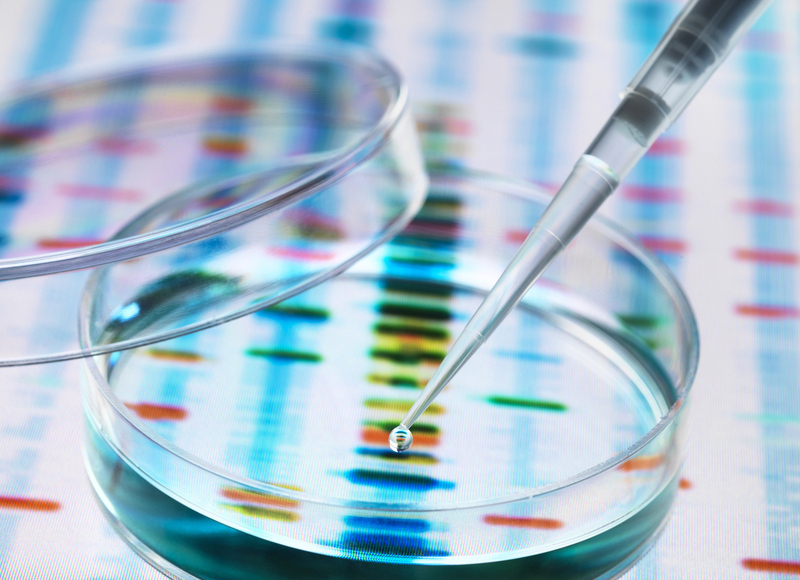 So CRISPR could be even more exciting and truly revolutionary. We just have to wait and see what this first generation of human clinical trials show us. First of all, you have to gown up before you go in there. ... And then you go through an air lock, and then you're in this room where there are mosquitoes living in all their different life cycles. So there's a dark room where the female mosquitoes are laying their eggs, because they like to do it in the dark. And then the scientists pull the eggs out from these rooms and they inject DNA into them and then they put them in water, because that's where mosquito larvae like to develop. You can tell that they've been genetically altered because they have red eyes, which is kind of spooky. But you look at that and you say, well, that means that these could be the cure for malaria. It really could happen. And hundreds of thousands of people die every year of malaria. We've thrown everything we can at it and this parasite is still knocking us down worldwide. So, maybe this could be it – so, that's actually quite exciting. For the Golden State Killer case, what somebody decided to do was take the DNA that they had from these crime scenes, and upload it to one of these open-access sites — not a commercial site — and then see if they could find any close matches. And they found that there were some people that looked like they were distant cousins of this person. And they went and did the genealogical research to figure out "Well, how would they be related?" And then said "OK, who are the possible relatives that this person could be, and where do they live?" And that actually helped narrow down their search until they made an arrest. You can choose different levels of privacy with a lot of these services. So, for example, some people will say "I want you to look at my DNA. I want you to tell me about my ancestry." ... For 23 and Me they'll give you a few bits of information about your medical conditions, and that's it. But they will try to get you to opt in to sharing your data for their own basic research. At 23 and Me, for example, there's a whole team of researchers who are studying all sorts of ... diseases, sleep patterns and so on. And then they will also go into partnerships with drug development companies who will take their data, looking at, say, 50,000 people with lupus and 50,000 people who don't have lupus, and try to look for the genetic differences. Those could point the way toward possible drugs. Phyllis Myers and Seth Kelley produced and edited the audio of this interview. Bridget Bentz and Seth Kelley adapted it for the Web.